When Mark Boucher played his first game of cricket for South Africa, a senior player took him aside and bluntly told him he was the worst wicket-keeper ever to play in the national side. Over a decade later, when Bouch finally retired with a plethora of records under his belt and to huge acclaim from the public, he took grim satisfaction in relating this piece of history. Through my Eyes is the story of a man with remarkable sporting prowess. Born into a sports-mad family in East London, he excelled in squash, tennis and rugby before choosing cricket as his preferred sport. His extraordinary achievements on the field are well known – he was voted SA player of the year in 1998, 2000 and 2006. What is not so well known, and makes up much of this book, are the behind-the-scenes stories and anecdotes. Stories of staring down the barrel of defeat and of celebrating victory; of developing strong bonds with teammates Graeme Smith, Jacques Kallis and others that go way beyond mere friendship. What emerges is the image of a man who always fought for the underdog, whose never-say-die attitude inspires those around him. 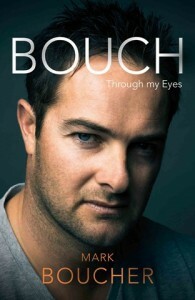 Boucher’s career was brought to a dramatic end on a cricket pitch in England when the bail of a stump punctured his left eye. But, in his own words, ‘I lost sight but gained vision.’ True to his character of gritty determination, Bouch has rededicated his life to a new cause, that of the environment and particularly the critically endangered rhino. 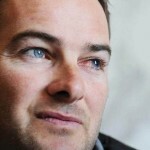 Mark Boucher is a former South African cricketer, who holds the record for the most Test dismissals by a wicket-keeper. He was a regular feature of the South African side since the 1997/1998 tour to Australia, until his retirement from international cricket in July 2012.